To the purist, a martini is always about gin and never about vodka. A martini with vodka as its soul is referred to as a vodkatini. Moreover, even a martini made of gin but “tarnished” with flavors or even a different type of garnish is not considered a pure or traditional martini. A traditional martini contains gin and dry vermouth. The gin is typically iced cold. A martini is served in long-stemmed, cone shaped glasses. A martini is said to be a plain, naked and honest drink. It is acceptable for a martini to be garnished with a lemon peel or a skewered olive on a pick. What Gin Brand is Preferred in a Martini? 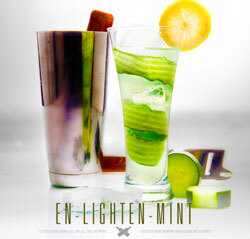 London Dry Gin is the usual choice for mixing dry martinis. Holland Gin is closest to the early Dutch formula and is most commonly served straight up or alone on ice. It is a full bodied, malt flavored and highly aromatic. Visit Gin Brands and Types to learn to expand your knowledge of gin. What Vermouth Brands and Types are Preferred in a Martini? Dry vermouth is preferred to accompany gin in a martini. Dry vermouth, also referred to as French vermouth, has a pale gold color and a touch of sugar. It is the transforming ingredient in a martini. What Vodka Brands and Types are Preferred in a Martini? If you are of the newer martini drinking class, you may still prefer your martini with vodka. Vermouth was instituted, as you now know, to cut the edge off of the gin. However, vermouth is not really needed in a vodka martini since vodka lacks as distinctive a taste as gin. Review our Vodka Brands and Types. In the old days, a martini was just a martini: one drink made from gin. If you preferred your martini extra dry, you passed the vermouth bottle over the glass and added an olive or two. If you preferred your martini dry, you added a splash of dry vermouth. If you disdained dryness altogether, you employed the fruity taste of sweet vermouth. Today, vodka is the preferred ingredient in a martini. Purists call this type of martini a vodkatini. New comers don’t know any better and have succumbed to the marketing of vodka companies worldwide and now use vodka in lieu of gin to make or order their martinis. 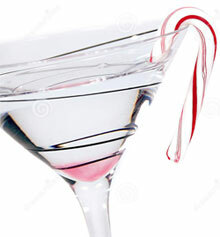 MartiniMuse has listed just about every martini recipe known to man, about 225 martini recipes in all. Take a look and choose your favorite. If it’s not listed, please email us and we’ll include it.